Want to be part of a community to co-create the Singapore of your dreams? Why did you become a changemaker? Perhaps you started with a dream. To create a more caring and inclusive Singapore. Maybe you felt a moral indignation to do something, instead of waiting for the government to ‘fix things’. But good intentions don’t always guarantee good results. You’ve seen funding applications rejected, volunteers don’t show up, and you’re drowning in a sea of admin paperwork, constantly trying to do more with less resources. Thinking of sustainability keeps you up at night and amidst the busy-ness of doing, you feel like you’ve lost sight of why you started in the first place. You feel drained, exhausted and defeated. Where has all your passion gone? If you are a changemaker feeling this way, then boy do we have an experience for you. 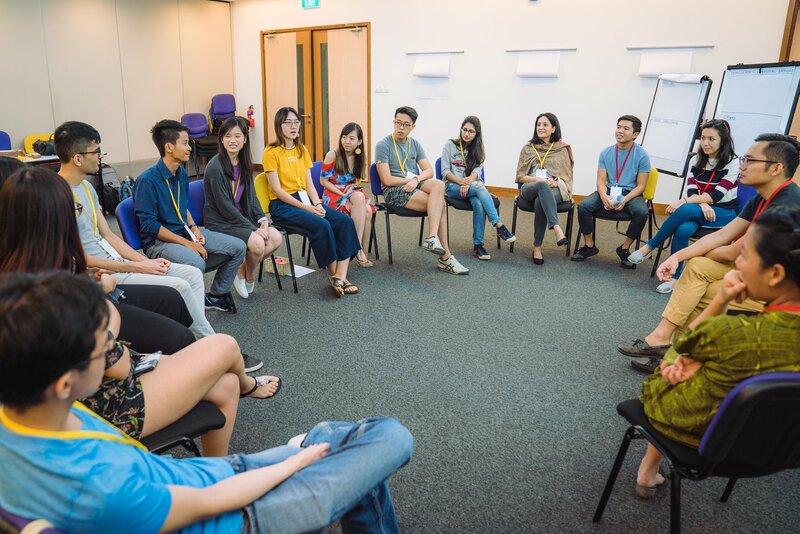 Form deep friendships with Singapore's most passionate changemakers and reflect on your dream for the social issues and communities you care about. Gain a deeper understanding into how social issues are complex and interlinked. Learn and experience a transformative way of serving your community through the SALT and CLCP mindset, which stimulates communities to create sustainable change by appreciating their strengths instead of solving their problems. Be guided by an international team of facilitators with experience building communities across Africa, Asia and Europe. 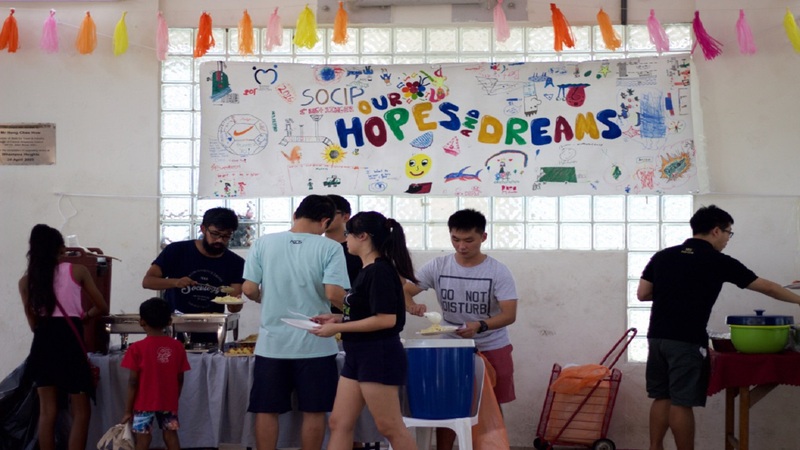 As changemakers coming from diverse social issues, what is the Singapore of your dreams? What can you not create alone? Come ponder over our collective vision for Singapore and collaborate with each other to move towards our dreams. Join Us at A Good Conversation! Remember that spark you had when you first started? Let us help you rediscover it. Each specially designed to help you along your journey as a changemaker and community builder. We see the world not as it is, but as we are. What if, instead of solving problems for the communities you serve, you appreciated their strengths and abilities to deal with the challenges they face? This is a model for sustainable change outlined by the SALT mindset and Community Life Competence Process (CLCP), which we’ll learn about in the first part. 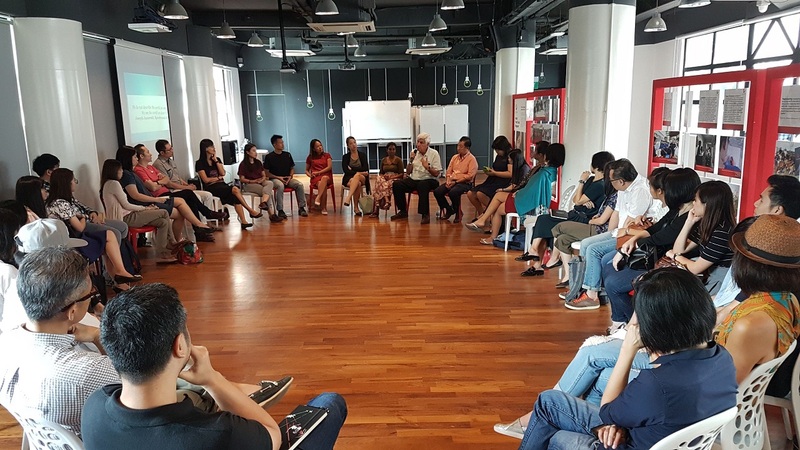 We’ll then embark on site visits to different communities in Singapore to practice the SALT mindset in appreciating their strengths, led by experienced facilitators from Beyond Social Services. The longest distance to travel in the world is from our head to our heart. To truly understand change making, we need lived experiences that go beyond theory. That’s why in between the two parts, changemakers will get an opportunity to work on a project to conduct at least one site visit to communities vastly different from their own. This enables you to continue to practice the SALT mindset of suspending judgment and appreciating strengths within those communities. In part 2, you’ll share your progress in practicing SALT and insights gleaned in visiting different communities. In this sharing, changemakers can gain a deeper understanding of the complexity and inter-connectedness of different social issues. After appreciating the strengths of those in the communities we serve, we now appreciate those of the changemakers we collaborate with. In this space, we will reflect on the dream we have for our communities, create our shared dream for Singapore and build on each other’s strengths to progress towards our dream. A Good Conversation will be guided by facilitators from The Constellation, a not-for-profit organisation formed in 2005 to respond to the HIV / AIDS pandemic. They created the SALT (Stimulate, Appreciate, Learn and Transfer) mindset and the Community Life Competence Process (CLCP) to mobilise communities to appreciate their strengths and respond to life challenges they faced by harnessing these strengths instead of waiting for NGOs to solve their problems. This approach has since evolved to respond to a variety of challenges, such as: child health, pallative care, sanitation and hygiene, aging with dignity, village life and much more; in more than 50 countries around the world. It has even been used to govern a Belgian village for over 400 days! A team of experienced international and local facilitators are holding space for us to ask the questions that matter in creating sustainable change for the communities we work with. Move towards a deeper level of empathy, appreciation and understanding. Jean-Louis Lamboray started his journey as a medical doctor working at the World Bank and UNAIDS, co-founding a program to deal with the AIDs epidemic in a region in Thailand. Deeply inspired by seeing communities mobilising their own strengths to overcome their life challenges, he co-founded The Constellation, a Belgian non-profit that facilitates communities across the world to mobilise their own strengths to overcome their life challenges. 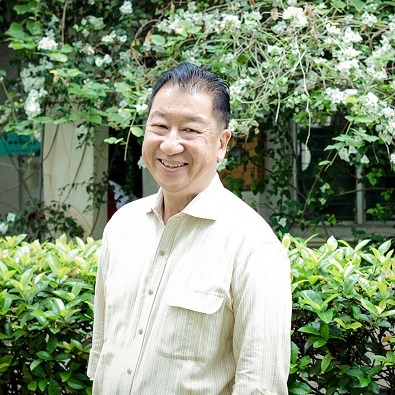 In the capacity of Executive Director, Mr Gerard Ee spearheads Beyond Social Services, which enables public rental housing neighborhoods to be ‘villages’ that raise their children well. 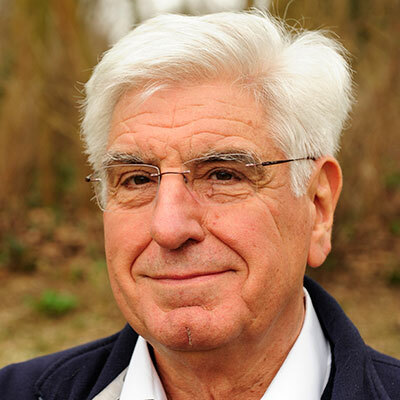 Gerard is a firm believer that social work is not simply problem-solving but a peace-building process that engages people to be a little kinder, fairer and more cooperative. Ranga has been co-leading the work with vulnerable communities for more than a decade at Beyond. Her greatest inspiration is the inherent strengths of community members in the face of their struggles. Ranga’s formal education is in social sciences, mass communication and social work. She has also acquired skills in community building, restorative justice and stakeholder engagement, and looks forward to engaging more people in meaningful conversations. 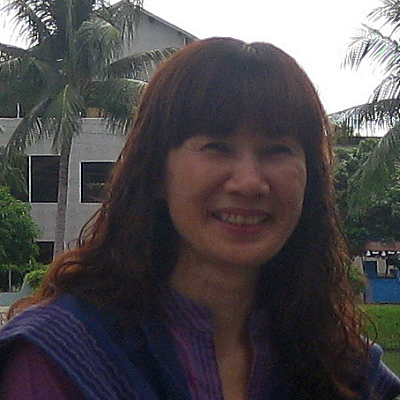 Wiwin is a learner who creates spaces for herself and people around her to learn and share. 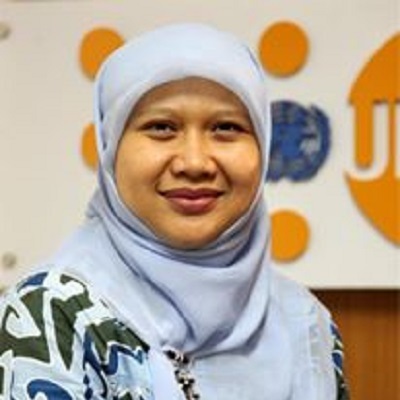 She facilitates the application of the Community Life Competence Process in communities in Indonesia and actively incorporates SALT in the spirit of her organisation as they reach out to partners, individuals and communities. She sees SALT as a joyful process that has brought much joy to her and her family. 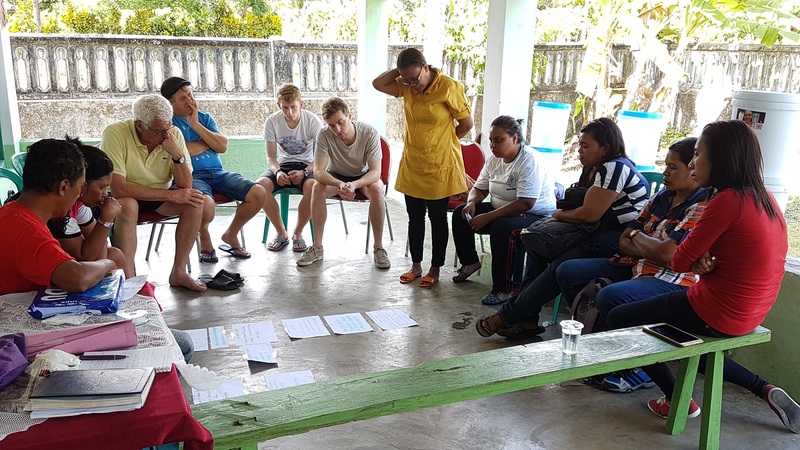 Sirinate has been working with and learning from local NGOs and community organizations/groups on various issues through her roles in supporting organizations and as a Constellation coach. 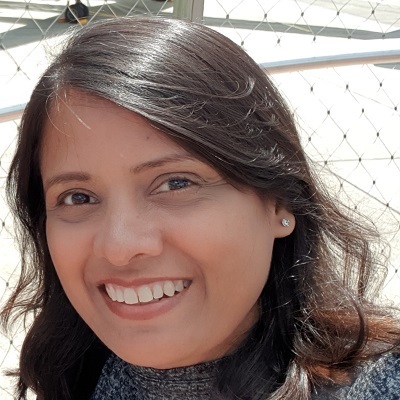 She has a passion of sharing what she has learnt and connecting those learnings across organizations and communities. She feels lucky to have great opportunities to learn from local responses inside and outside her country over the past 25 years. Are there any fees to join A Good Conversation? There is a minimal tuition fee required to cover the costs of food and transport for the facilitators. AGS is covering the costs of flights, accommodation and an honorarium for the facilitators and is currently applying for several grants to further defray costs for participants. Successful applicants will be notified about the costs of the program. How can I join A Good Conversation? First, click on any of the buttons above and you’ll be taken to a short application form for us to get to know you better. Applications close on Sunday, 21st October 2018 at 11:59pm. We’ll look through all applications then and inform you of the outcome of your application within 5 working days. As we are hoping for it to be a cosy session, we can only select 20 changemakers for this time. Once you have been selected, we will follow up with you for the necessary logistics details. What is the commitment for this? Selected applicants will be expected to: attend Part 1 (Fri, 9th Nov – Sun, 11th Nov 2018), participate in a project in between Part 1 and Part 2 to practice the SALT mindset and attend Part 2 (Fri, 22nd Feb – Sun, 24th Feb 2019). We wish to build the capacity of community builders across diverse social issues through learning and practicing the SALT approach in the communities they work with. 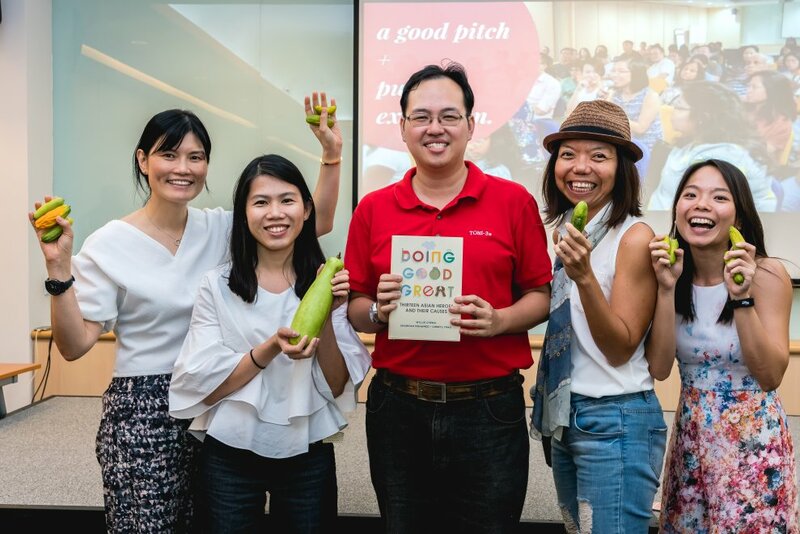 In coming together, we can appreciate each other’s strengths, co-create our dreams for Singapore as changemakers and work towards this dream by harnessing each of our strengths – in the true spirit of collaboration. Feel free to drop Vincent an email at vincentng@nvpc.org.sg! Let's Co-Create a Dream, Together! Changemaking doesn't have to be a lonely journey. Come collaborate with other passionate changemakers to create the Singapore of your dreams!